An elderly Asian couple who were targeted in their home by burglars have revealed their terrifying experience to help warn Londoners to protect their family gold, especially during the festivities of Navratri and Diwali. A couple in their late 70s and early 80s, who do not wish to be identified, were targeted in their home by a gang of thieves earlier this year. At around 20:30hrs on Saturday, 24 February, the couple were both watching television in Hampton Hill, Middlesex, when they heard some banging coming from the hallway. The 77-year-old woman went to investigate and found four male suspects in the hallway. One of the suspects pushed her back into the lounge and made her sit down. One male threatened her with a chisel by holding it against her neck and demanded to be shown to their ‘Asian gold’, whilst the others took the 82-year-old man upstairs whilst they searched the house for jewellery. Before leaving the property, the four masked men, all in dark clothing, stole a quantity of jewellery and cash valued at £1260. This included; wedding rings, necklaces, bracelets, and bank cards. During the last financial year there were 1,891 burglaries involving Asian victims, during which 6,369 items of jewellery were stolen, valued at nearly £9m. The main point of entry for these burglaries was via the front door, followed by the patio door or via a window. Intelligence continues to show organised criminal networks are increasingly involved in lucrative 'family gold theft' which affects many families including those from Asian, Jewish and Maltese communities across various locations in the Capital. - Take a photograph of your valuables - it is the best way officers can prove it belongs to you if a burglar is stopped. - Property mark your jewellery, by using a traceable liquid such as SmartWater, this gives police the best chance of reuniting victims with their stolen property, if recovered. The website www.securedbydesign.com provides more information on traceable liquids. - Consider installing CCTV cameras and burglar alarms as a deterrent. - Avoid keeping jewellery in bedrooms and bathrooms - this is often the first place a burglar will look. - Consider keeping your jewellery safe with the National Pawnbrokers Association rather than in a safe which can be removed. - If you do wear valuables out in public; cover them up so you don't draw attention to them, keep to well-lit areas and try not to travel alone. - If you do decide to store your valuables in a safe, ensure it is secured to a wall or the floor. The festival period tends to see a spike in this type of crime largely due to more jewellery being worn as communities travel across London to different venues - whether temples or to other people's homes. The MPS has continued to step up its efforts to tackle gold thieves through ‘Operation Nugget’, which seeks to drive down the numbers of offences and bring more perpetrators to justice through a series of different initiatives. 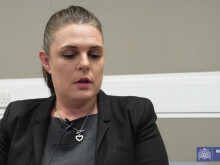 Detective Constable Lisa Keeley said: "Gold will continue to be highly desired by criminals due to the speed and anonymity with which it can be exchanged for large sums of cash. "These pieces of gold and jewellery are not just valuable possessions, they are also of great sentimental value, and if stolen, would have a huge impact on owners. "Our proactive measures to tackle these crimes has seen reductions in offences, however there is more to be done. "As part of this work, we urge Londoners to take action to safeguard their gold and jewellery by following our simple crime prevention advice." Anyone with information about the crime mentioned above is asked to contact Detective Constable Lisa Keeley, based at Kingston Police Station, on 101. If you do not want to give your name you contact Crimestoppers anonymously on 0800 555 111.